© 2017 Rex Jaeschke. All rights reserved. From time to time during my travels, I come across signs that I find interesting for one reason or another. Sometimes, they contain clever writing, are humorous, or remind me of some place or event. Here are some more from trips to France, Finland, California, Croatia, England, Korea, and Washington State. 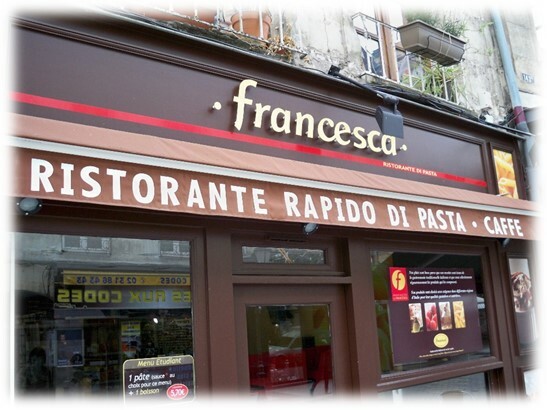 Fast food, Italian style, in France! From a small town in Normandy, France. 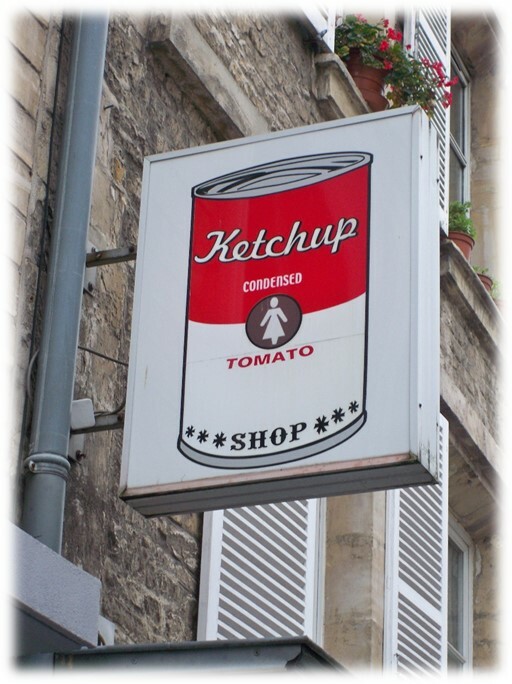 Do you suppose this shop actually sells ketchup? Perhaps it's actually an art gallery that specializes in Andy Warhol paintings. 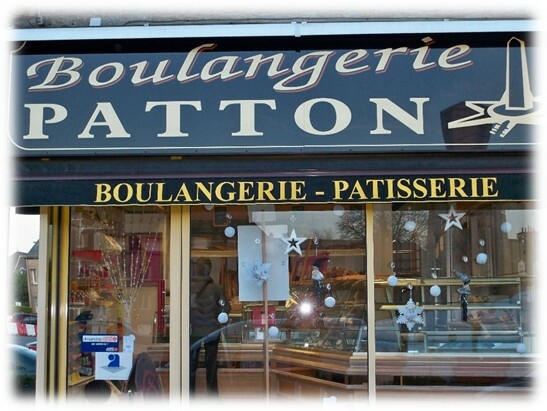 A bakery in the French town of Avranches, named for the famous US tank commander, General George S. Patton, who liberated the town during WWII. I stayed in that town when I visited Mont Saint-Michel. 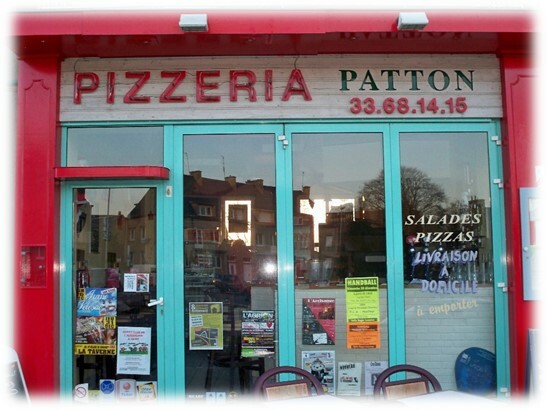 And to truly show their admiration, they even named a pizza place after him! In France. On the one hand, you could argue that this is a useful sign. On the other, it might well give some kids an idea they wouldn't have otherwise thought of. 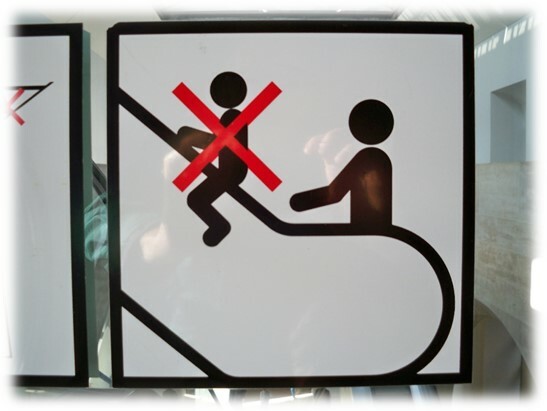 You'll find this sign at the waterfront in Helsinki, Finland. Finland is official bilingual: Finnish and Swedish; so all public signs are in both languages. Just off the coast on a series of interconnected islands is an impressive fortress complex with large dry docks, called Suomenlinna in Finnish and Sveaborg in Swedish. 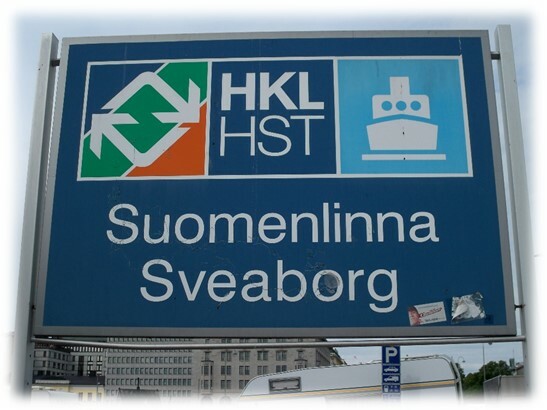 And since I just know you're wondering about the three initials, the Helsinki City Transport system is called HKL (Helsingin kaupungin liikennelaitos in Finnish) and HST (Helsingfors stads trafikverk, in Swedish). So there you are, driving along a Finnish highway going out into the country for the Juhannus Day weekend, and you stop at a gas station and food place for a bite to eat. But what to have? The literal translation for säilykkeet is canned food, and Pastat is pastes. 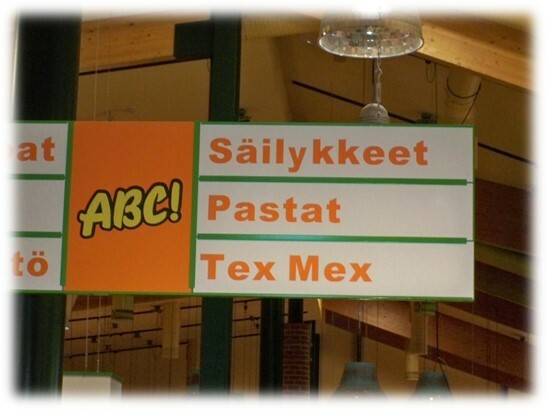 But what caught my eye was the Tex Mex; Texas-style Mexican food, in Finland. Hmm. "Build it and they will come." I guess! 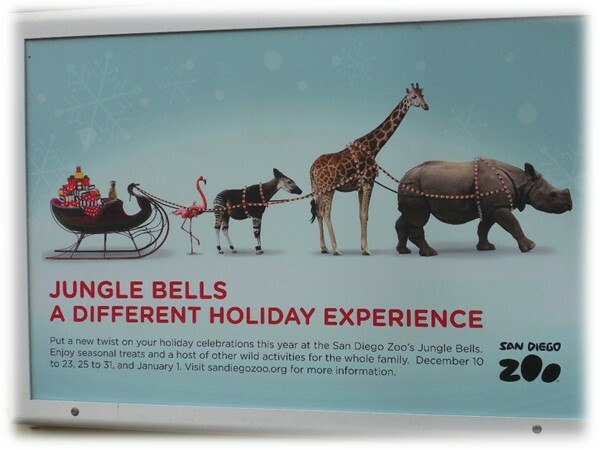 A Christmas advertisement with a difference, for the world-famous San Diego, California, Zoo. Apart from their main property, their Safari Park in Escondido is definitely worth a visit. There I was riding my little motor scooter on the back roads of the Dalmation-Coast island of Hvar in Croatia, when I came across this sign. 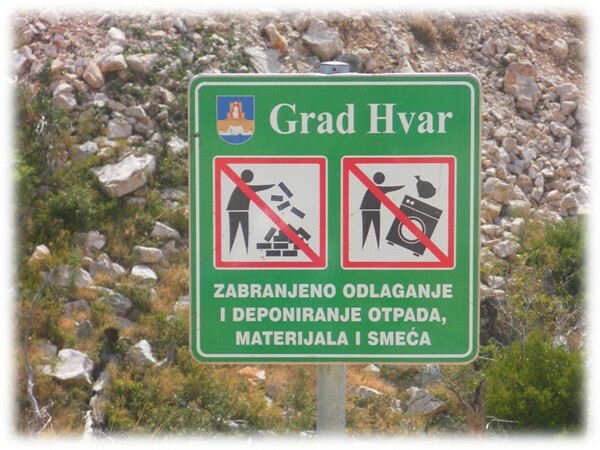 It says that "The disposal and storage of waste materials and garbage is prohibited". Fair enough, but I though the picture of the clothes washer or dryer and the brick wall were an interesting way to reinforce the message. 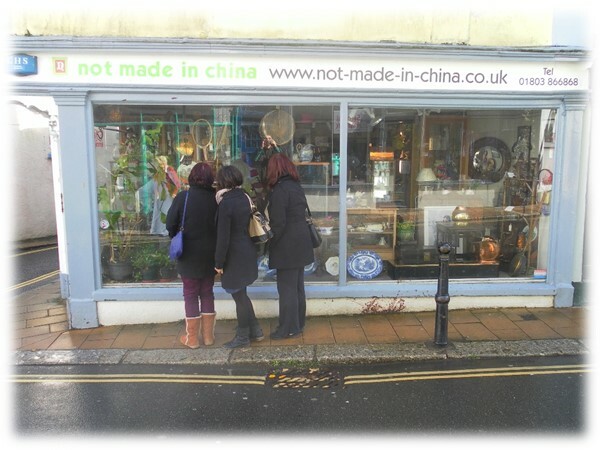 This interesting-named shop is in the quaint town of Totnes in Devon, England. 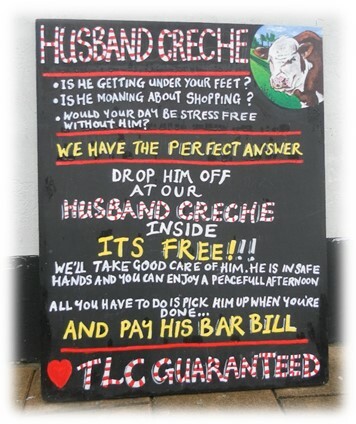 From outside a pub in Totnes in Devon, England. Very clever! BTW, TLC stands for "tender loving care". 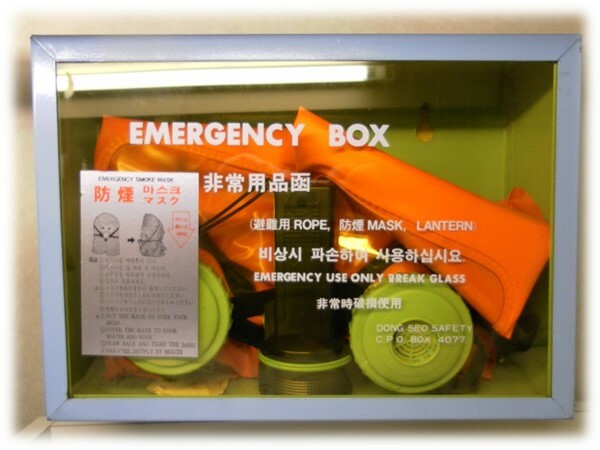 This photo was taken in my hotel room on the South Korean island of Jeju (sometimes called Cheju). It certainly made me wonder just what kind of natural disasters might actually occur there. BTW, the rope was to help guests get over the balcony to the one below, from where they used that balcony's rope to go further, and so on. 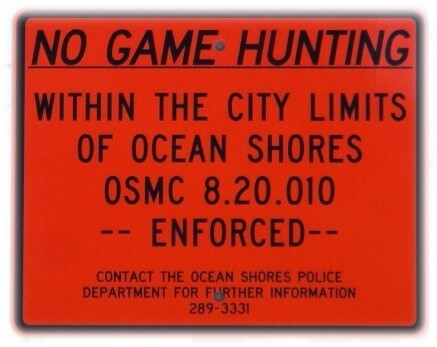 If you happen to be wondering around Ocean Shores, Washington State, wearing a deer costume for Halloween, it's nice to know that hunters are not supposed to shoot you! 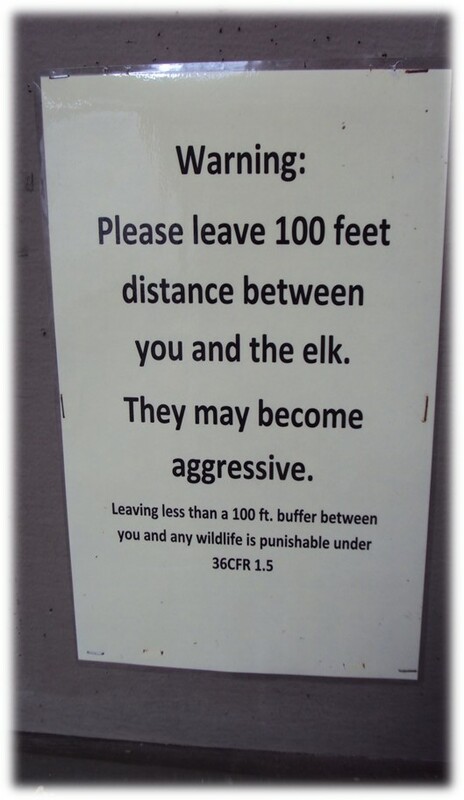 Although it sounds like good advice, while the elk weren't looking, I stuck my foot inside the 100-foot zone! 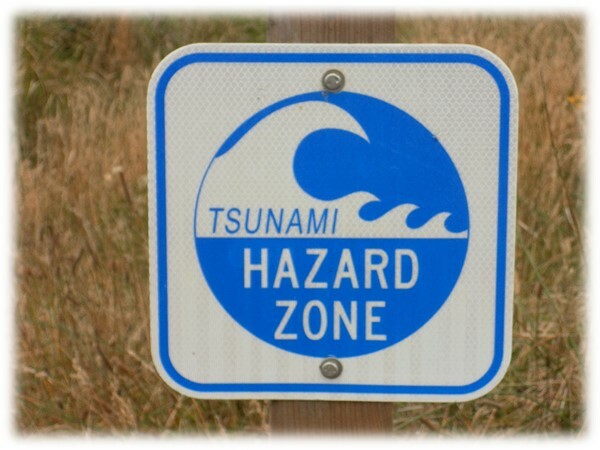 One of many such signs in and around Crescent City, Northern California. The most startling thing were the posters at various beaches asking people who found human remains from the Japanese earthquake of 2011, washed across the Pacific Ocean, to report them to authorities. The sign of civilization! Yes, I am a long-time patron of Denny's. Any place that serves breakfast 24 hours a day is okay with me. And on many occasions, the waitstaff have given me crayons and pictures to color while I was waiting for my food to be served. 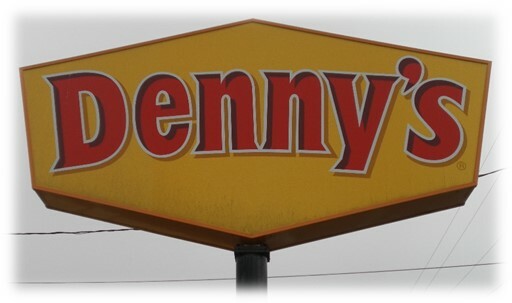 The ultimate experience came when I found a Denny's restaurant in the parking lot of a Motel 6 hotel, in Annaheim, California, in which I stayed during a family trip to Disneyland.